Different versions of the document can be maintained using built-in version control functions. Document locking mechanisms are enabled to avoid duplication or conflict. 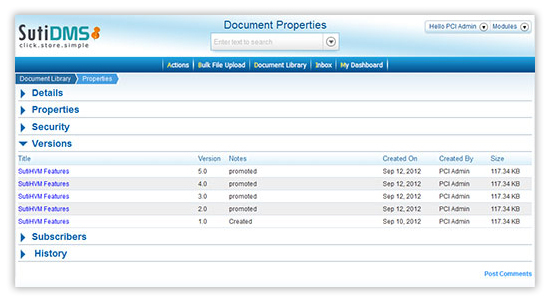 Ability to check-in and check-out documents is standard in SutiDMS. Documents can be demoted from higher to lower versions. Documents can be promoted from any version to the current version. Users have the ability to maintain full version notes during the document check-in process. 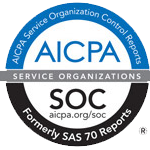 Keep a complete audit trail of how documents have evolved over time.